Today, I’m delighted to welcome Helen Hart, publishing director at SilverWood Books. 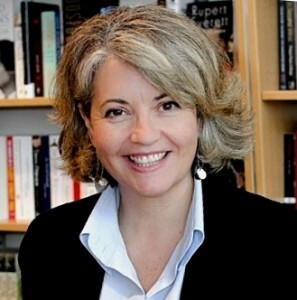 She has written novels under pseudonyms for Scholastic, Virgin Books, OUP and HarperCollins. One of her Young Adult novels, written as Maya Snow, was shortlisted for the Solihull Children’s Book Award 2010. Helen was on the judging panel for the 2010 and 2011 the Bristol Short Story Prize and has reviewed books for the Historical Novel Society (HNS) Indie Reviews. I’m looking forward to hearing about her views on the ever-changing world of publishing! Hi Helen. Welcome to the world of Roma Nova! We’ve been working together for just over a year now since I decided to self-publish INCEPTIO and PERFIDITAS through SilverWood Books, but do satisfy my curiosity: why the name? That’s a nice question! I come from a small village in Dorset, which as far back as the Domesday Book was known by its old Celtic name of Litchet, meaning ‘the grey wood’. I like the name as it’s a piece of my heritage, and of course woods and trees are an important element of printed books (although nowadays wood pulp comes from sustainable and managed sources). 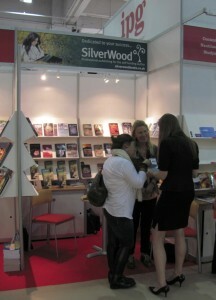 Silver seemed a more appealing version of grey, so SilverWood Books was born. 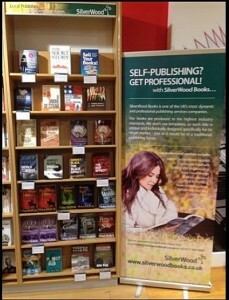 When talking to other people and indeed writing on this blog, I’ve referred to SilverWood Books as a “publishing services provider” Is this accurate? I would say it is – at the moment. The publishing landscape is changing so fast, and new terminology is constantly being proposed for what we do, so we might also need to be flexible and change the way we refer to ourselves. It’s vital that the terms are widely recognized, so that writers can establish what we do and if we’re offering what they’re looking for. The Alliance of Independent Authors (ALLi) has recently referred to us as providing “author services”. I like that term because it brings the author to the centre of what we do rather than placing the publishing/publisher there, and that reflects our ethos of being what ALLi term “authorcentric”. What marks SilverWood Books out in the publishing services market? I’d like to think it’s friendliness and expertise of the SilverWood team, as well as the high quality of our books, in terms of design, layout and typesetting. One of our strengths is that our books aim to match the production values of traditional publishing houses such as Faber and Harper Collins. This means our authors can be confident about going out and marketing their book. Our authors also stand a good chance of persuading bookshops to stock their book, and of arranging author events and book signings. What do authors report is the chief benefit of working with you from their point of view? Most authors say it’s the close and supportive working relationship. Many seem to place great value regular contact, thoughtful advice, and having someone knowledgeable to run ideas past. With SilverWood, the support doesn’t end when the book is published but is on-going. Our preference is to work with a writer through their whole career rather than on a one-off book, and many authors return to work with us for a number of books. How do you think the relationship a between self-publishing and the traditional publishing is evolving? For instance has self-publishing become a replacement slush pile or test-bed for traditional publishing? I’m not sure how the test-bed is working. Some agents and publishers seem receptive, while others are a little more resistant. It’s a constantly evolving landscape, and attitudes are shifting all the time. Sometimes all self-published authors are lumped together from the enthusiastic, but unskilled, DIY author at one end and the top of the range providers like SilverWood Books at the other. Do you think the self-publishing market is changing, polarizing into different quality layers? That’s an interesting thought. Possibly, although it’s slow progress. The perception of “all self-published books are rubbish” has such a strong hold that it can be hard work for authors to overcome that prejudice. The good news is that there are new initiatives which are helping to raise awareness of books which have been published well, from IndieBRAG’s recommended self-published book “Medallion” scheme, to ALLi’s “Open Up to Indies” and the recent Guardian newspaper blog posts which acknowledge that self-published books can be good. Recently the Guardian online invited readers to recommend good self-published books, and received over 3,400 entries. Of the top two dozen that made it onto their published list, we were really pleased and proud to see not one but two SilverWood authors – travel writer Ed Hancox and historical novelist Helen Hollick. And how do you see the self-publishing sector maturing in say the next 12 and 24 months? “Maturing” is a good word. I feel confident that self-publishing will go from strength to strength and continue to become more and more acceptable. Things can only improve as recognition builds that the self-publishing sector is producing well-written, professionally-edited and expertly-designed books. I genuinely believe that readers don’t care who funded the book as long as it’s a good read, and they can get hold of it relatively easily. I’m looking forward to meeting up with Helen again at the SilverWood Books Writing and Self-Publishing Open Day at Foyles, Bristol on 25 January. It’s fully booked, but there’s another scheduled for September. Left: Display in Foyles, Bristol of SilverWood Books. INCEPTIO and PERFIDITAS are on the third shelf down! What a lovely interview, Alison and Helen – and I’m so glad to know the story behind the SilverWood name, I’ve always wondered that! A great demonstration of how well Helen and her team know the fast-evolving marketplace, and confirmation (not that I need it!) that they are great partners for self-publishing authors like you and me, Alison. Thank you for having me on your blog today, Alison. Your questions were great – very thought-provoking, and some of them made me pause to evaluate what we do at SilverWood and how the industry in general is developing. Often we’re so busy doing the work and supporting authors that we don’t have time to sit back and consider things more deeply. I thoroughly enjoyed having the opportunity to reflect! Glad you enjoyed being ‘grilled’. Yes, I agree that when you are interviewed, you do have to examine why you are doing things and what you hope to do in the future. It’s that ‘time to stand and stare’ thing. Looking forward to the 25th! The first thing that struck me about Helen Hart when I first met her (several years ago now at the London Book Fair) was her beautiful smile… it shines from her eyes along with (seemingly!) infinite enthusiasm. I went through a sharp learning curve when I initially went indie after being dropped by mainstream. I went to a not very good company which then went broke, but fortunately SilverWood was waiting in the wings and I had somewhere reliable to transfer to. That learning process is still slightly curving upward – there is always something new to figure out or deal with when you are an Indie Author, but I trust Helen Hart and the team at SilverWood, They are a business, but their primary business is to work in partnership with their authors to make the whole process successful for publisher and writer, and while that is also the aim of traditional publishing houses it doesn’t always come across like that. When I was with Heinemann I had five different author managers in four years – one of whom I never met. How can that be a partnership? I value SilverWood for the quality of the books they produce, their expertise, the fact that if there is a glitch with anything they put it right as soon as possible (which results in very few glitches!) that they care about the books they produce – and the icing on the cake…the whole team, led by Helen Hart, are lovely, friendly people with high standards of professionalism. I think myself very fortunate to be one of their authors. It’s trust, expertise and going the extra mile that stand out for me. Having gone to SilverWood’s self-publishing event in Bristol on Wednesday evening (struggling home up the motorway in torrential rain! ),I found this interview very interesting. Thanks Alison and Helen. A pleasure, Lindsay. Helen was easy to interview and her answers very informative. Of course, as a thoroughly involved publishing professional, she’s well placed to answer! It’s lovely to read such an inspiring interview and be associated with the company! I’ve always loved tho logo, too, so I was intrigued to hear its story. Thanks for a great set of questions, Alison! Thanks, Wendy. Self-publishing is such a hot topic at present, that it’s good to hear sensible commentary from One Who Knows.